The SSTUWA welcomes the Minister for Education’s measures to make schools safer workplaces for staff. The union has made safety a priority in the face of a rising number of attacks against teachers and school leaders. Everybody deserves to work in a safe environment and the Minister’s measures will assist in that. 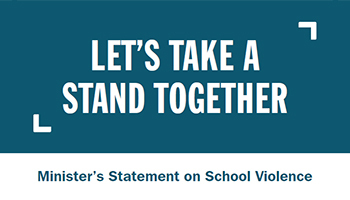 The SSTUWA has worked cooperatively with the Minister and the Department of Education to develop these measures and is particularly pleased to note the Minister’s commitment to supporting principals and staff in conveying strong and consistent messages about violence in schools. The union will now work hard to ensure the resources required to make the measures work are forthcoming, including the provision of alternative options for students and additional training for both new educators and experienced teachers who find themselves in confronting situations. We know some people will be concerned when a student is suspended or excluded. The SSTUWA supports intervention programs for these students and welcomes the trialling of a specialist support program in 2019. However, for too long the rights of the perpetrator have been sacrosanct whilst the rights of a teacher or pupil to be safe at school have been neglected. We welcome the return to a sensible balance.